When we were house hunting in 2016, we found the number of basement bars in Milwaukee staggering in both number and individualization. Drinking culture in Wisconsin is well established, and the phenomena of crafting your own bar at home is something we are fascinated by. We both agree that drinking in Wisconsin has a certain smell. We're not talking "bar at 2am smell", but rather the aromas of good liquor muddled with the smell of the woods- whether from nature or from the inevitable wood paneling and handcrafted wood tables and bars you find in basement bars, supper clubs, and local watering holes. 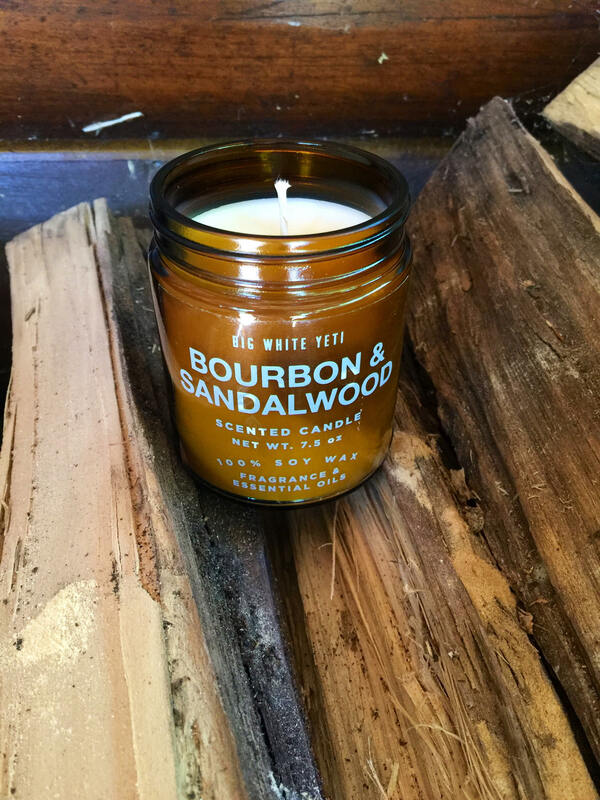 This Yeti, Bourbon + Sandalwood is the first in our Boozy Wisconsin collection. It's a complex blend of the warmth of bourbon- charred oak and smoke, a hint of cherry and a little pit of leather and pipe tobacco. 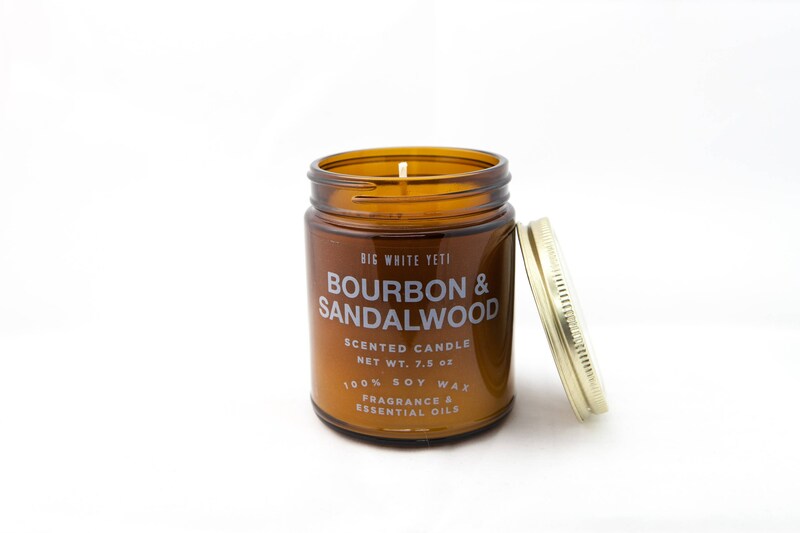 It's tempered with the woodsy and earthy notes of sandalwood. Not to toot our own horn too much, but it's pretty fantastic. Even for the non bourbon drinker. 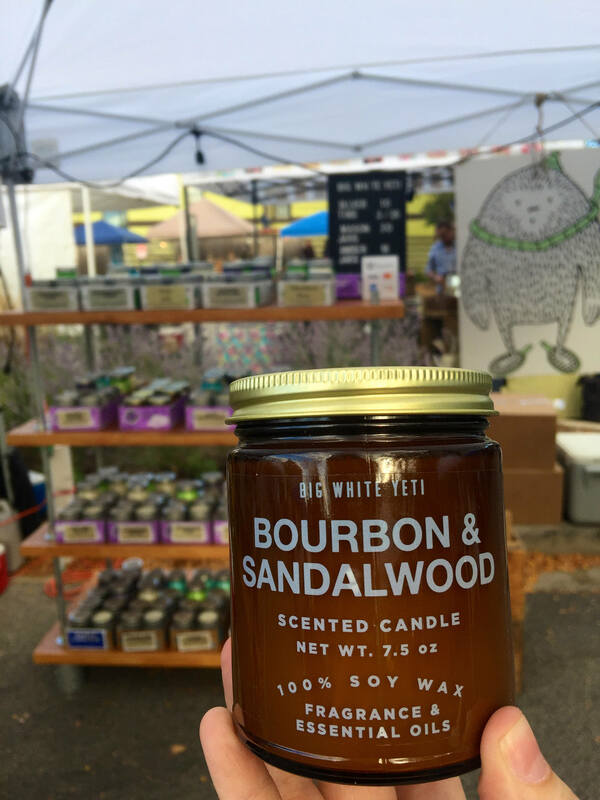 This candle is hand poured and contains 100% soy wax, a cotton wick, and premium quality fragrance and essential oils. Yes- this is the same fragrance as in the past. Just a new label. This was a new scent for me and it did not disappoint. It’s masculine, yet subtly sweet. A great scent for anytime, but looking forward to trying it out when we have friends over as a good conversation starter. I also really like the packaging. 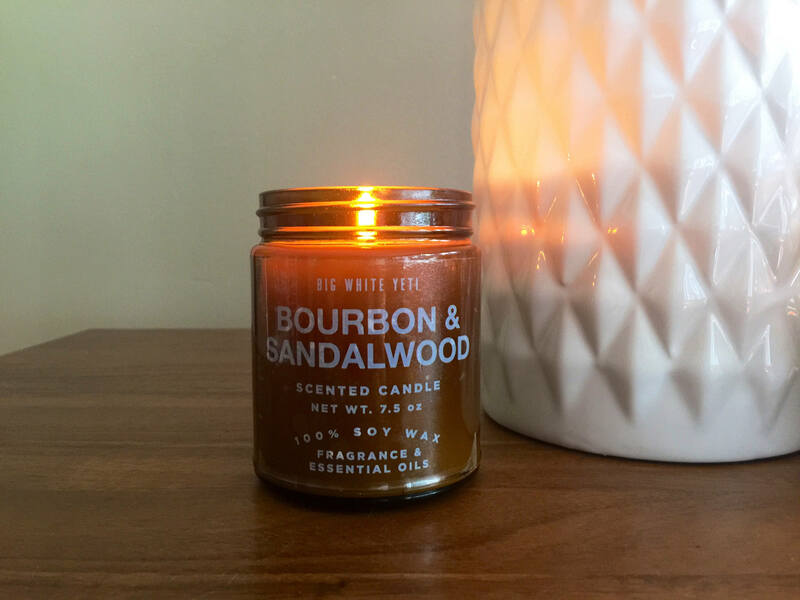 Love this scent and customer service is top notch! Thanks, Katie! Shipped quickly! Great customer service!!! This shop rocks!! !